Will Mount St Helens Erupt Again? Earthquakes! Steam explosions! Molten lava! All of these were present during the 1980 awakening and subsequent eruption of Mount St Helens in Washington. Today this area, home of the largest volcanic landslide in recorded history, is designated as Mount St Helens National Volcanic Monument as a place for research, recreation and education. Johnston Ridge Observatory, just one of the visitors’ centers, was a great place to start exploring. Their theater showed great footage of the 1980 eruption. Here you also found first hand accounts of individuals who were actually in the vicinity that day. Of particular interest were the machines that recorded the seismic activity presently occurring. 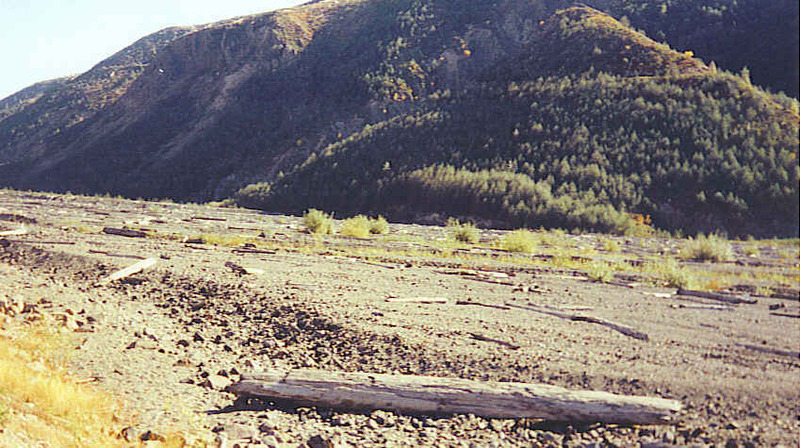 There were several trails leading up the side of Mount St Helens, which appeared mostly barren being covered with ashes. You could walk among the fallen trees that were flattened by the blast. 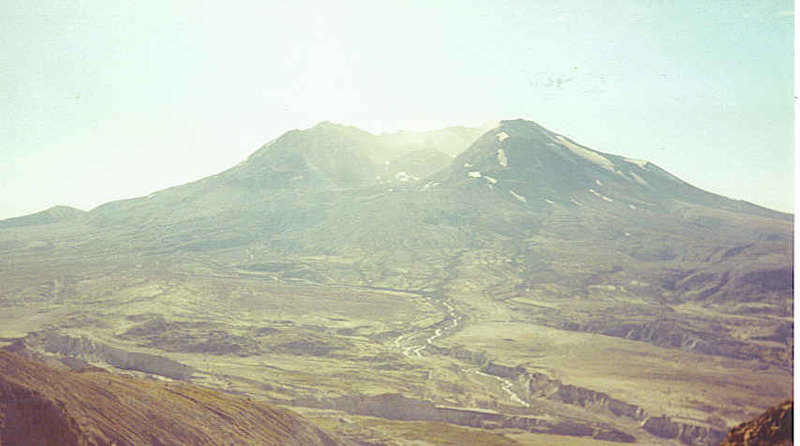 If you felt braver and went a little farther, you could even see vehicles and heavy logging equipment that was damaged when Mount St Helens blew her top. Took the path as far as was permitted at that time. The hiking trails stay open according to the mood of the volcano. When she is steaming or spewing forth lava, they obviously need to be closed. But what a thrill to get as close as possible to the top of Mount St Helens. The 1980 eruption left behind a trail that is still visible today. Due to the force of rocks and ice, trees in the lava path were struck down like bowling pins. Today they still lay there on the ground but the forestry department has gradually handplanted new seedlings amongst the fallen trees. 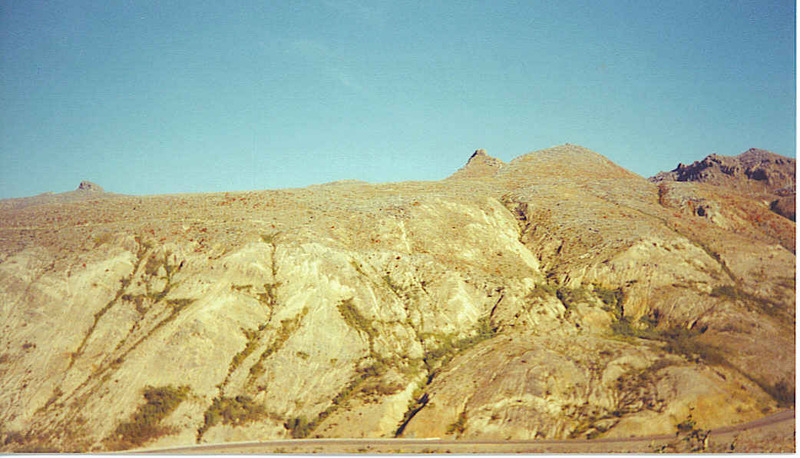 From 1986 – 2004, the mountain slumbered until in 2004 earthquakes rippled through the earth. Later that year a smaller eruption began and about a dump truck load of lava oozed out of Mount St Helens every second thus slowly rebuilding the mountain. By 2011 the amount of lava oozing from the mountain was reduced to a dump truck load every fifteen seconds. If the eruptions would continue at their present rate, the mountain would be back to its original height in about 180 years. During the 1980 blast, everything within miles was covered with ash from the volcano. So suppose it was easy for the ash to be gathered and sold as souvenirs. 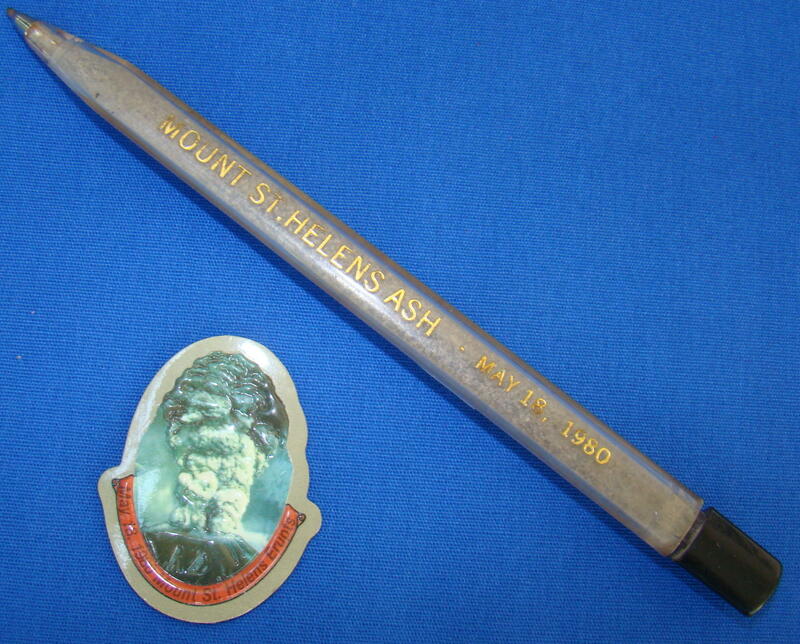 Still have a pen said to contain ash from that volcanic eruption.The entire landscape has changed from that 1980 blast. New river routes have been formed and even new lakes. Here you see a real change of scenery due to the awesome power of nature. Will a major eruption happen again? Probably not in our life time, as most volcanoes erupt every 100-300 years. The future holds hope for reforestation and rebuilding…unless another eruption occurs sooner than expected. Hope your life will erupt with much happiness, and may you spread that happiness for miles around. Mount St Helens National Volcanic Monument is located in Washington approximately 96 miles south of Seattle, Washington and 50 miles northeast of Portland, Oregon. One easy access route is from I-5, Exit 68 onto the Spirit Lake Memorial Highway/ WA 504. This route passes through the various visitors’ centers and into the center of the original blast zone. Wow! You’re so brave for going there, not sure if I could ever do anything like walk on a volcano. Thanks for all the wonderful information, may have to work up the courage and go there some day.